Koh-i-noor is not only an Italian excellence in bathroom décor and design area, but it also produces objects for bodycare. The Company boasts a long lasting history of more than 80 years and it started the activity as the only importer of toothbrushes with celluloid handle. After, it enlarged the production, including hair brushes, combs, razors, shaving brushes, mirrors and make up brushes, manicure accessories, hair accessories, sponges and many other personal care objects. The “Bodycare” catalogue by Koh-i-noor, available online on the website, offers high-quality products, strictly Made in Italy. It is composed by 11 product lines. This line has been created to celebrate the first 80 years of activity, producing elegant, quality items, evoking the polish atmosphere of a barber shop of the Thirties. Diamond point of the collection are shaving brushes, having resin handmade handles, individually lathed and hand refined. Bristles of each brush are produced of fine badger fur. If you do not intend to buy real fur products, you can opt for the Eco range, made of synthetic fur. To turn shaving in a pleasant experience, the Company created also handmade razors, with resin handles, available with Mach 3 or Fusion heads, equipped with original blade or in the classic blade version. Brushes and razors can be put in the stainless steel shaving brushes holders. This line offers also shaving creams, available with bergamot, almond or sandal essences. 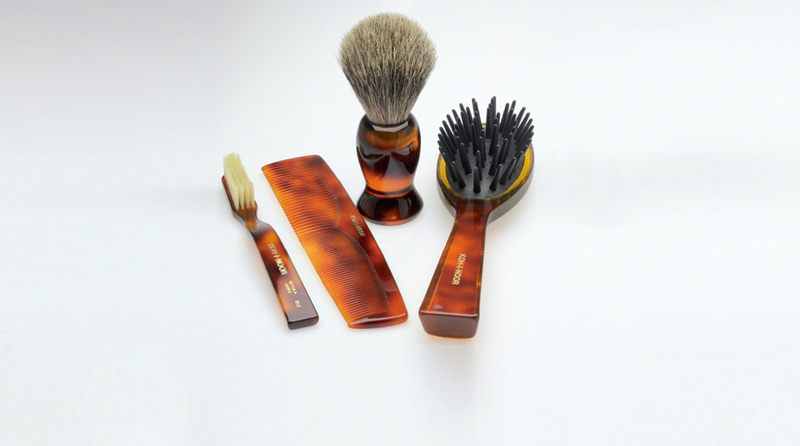 Shaving combs are sold together with sets: the brush is made of soft boar bristles, while the comb is made of cellulose acetate, really resistant and soft. Beyond shaving products this collection includes retro style combs, toothbrushes – online purchasable – with natural tynex bristles (high quality nylon) and cellulose acetate handle, pneumatic hairbrushes in two sizes and bristle hairbrushes with cellulose acetate handles and natural bristles. All products of this line are available in three colors: ivory white, transparent and black. All items of this collection have a turtle pattern. Handmade combs are obtained from animals’ horns, while other objects are made of cellulose acetate. Bristles of shaving brushes are real fur ones, not artificially whitened, while toothbrushes are made of soft natural bristles (also boar ones) or made of tynex. Bristles hair brushes JASPÈ are made in different sizes and have boar bristles (suitable for strong hair); pneumatic ones, instead, are available in four different versions and they are suitable for different hair types. the main feature of pocket mirrors is lenses’ quality. Beyond shaving brushes of already described collections, Koh-i-noor produces other brushes, of different colors, sizes and shapes, made of pure boar fur, equipped with methacrylate handles or chromed ABS. Razors have resin handles and interchangeable Mach 3 heads. This line offers also a transparent brushes holder. Hairbrushes and combs are made of: chromed or golden ABS (Metalli collection), red alder (“Legno”), polycarbonate (“Karamelle”) and different colors ABS (“To Day”). All lines include hairbrushes in 4 sizes and three-five combs, each one suitable for a different hair typology. They are online purchasable. The collection offers sponges of different sizes to clean your face or to put on foundation, beyond a set of eye/lip/eye shadow brushes and a blush ones, made of natural bristles of goat, marten or of high quality synthetic fibers. 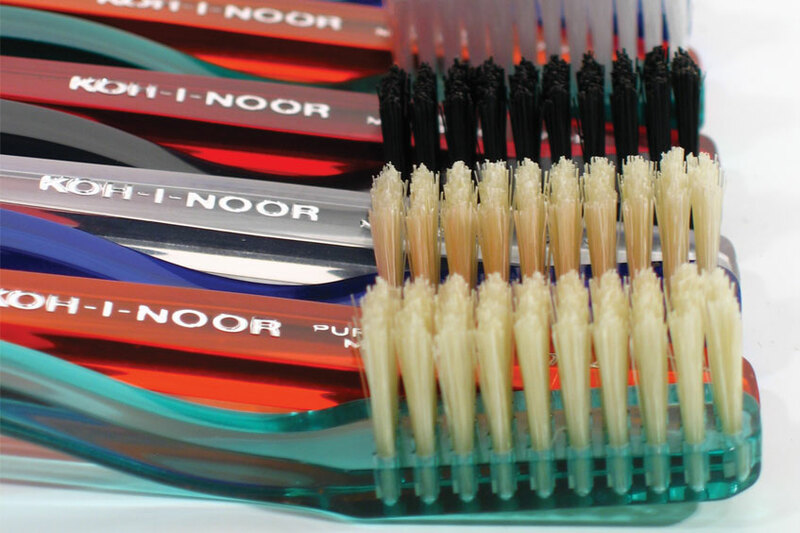 Made of natural bristles or tynex with round ends, Koh-i-noor toothbrushes are available in six versions, depending on bristles’ strength (from very soft to very hard, with boar bristles, black or white). Also hand care products are excellent: tweezers and scissors of stainless steel, files for hands and calluses, eyelash curlers and even fingers separators, available in bright colors and patterns. 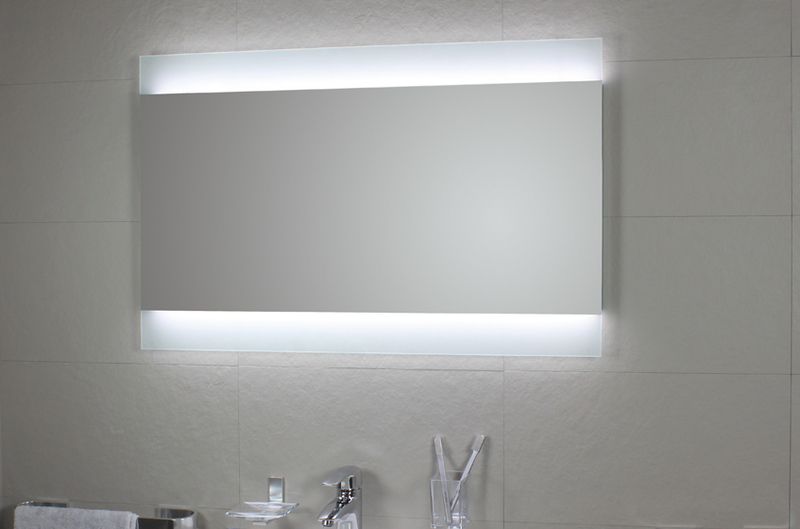 Koh-i-noor provides also a wide range of bathroom mirrors with chromed brass structure and ABS frame. Mirrors, with their modern design, are round or square, to hang onto the wall, or to lean with one or two arms. 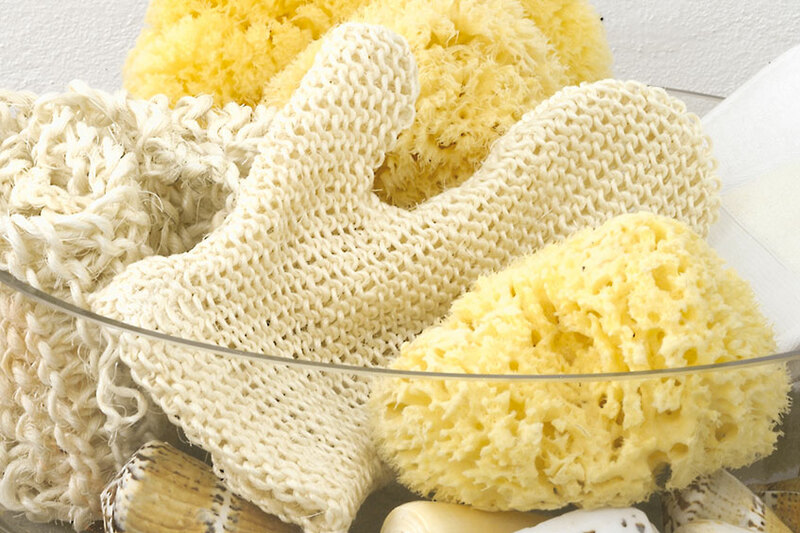 To enjoy a relaxing bath, natural soaps, sponges (natural or synthetic) or massage gloves are really important. To create the perfect atmosphere, this line offers also blue, scented candles of many shapes. This collection includes professional products for treatments, such as thermal hairbrushes of ion-ceramic, triangular or round. Koh-i-noor, finally, creates also hair accessories – clips, pins and headbands – of superior quality.